I am jetting off to Lake Tahoe tomorrow with my family to enjoy the winter holiday in the snow. I am not a cold weather kind of girl, I much prefer . But with three males in my family who love to snowboard, sometimes I have to go to destinations that are not my favorite. Aren’t those lovely? The last one doesn’t have any fur, but it was too pretty not to share. I ended up not getting any of them because I didn’t want to spend the money on something I will only wear a few times, and because I ran out of time. 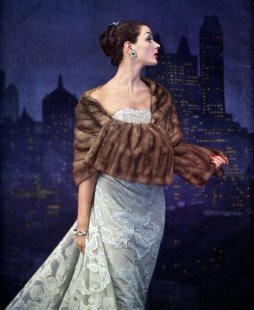 But my question to you dolls is this: Would you wear fur and if not, does vintage fur count? 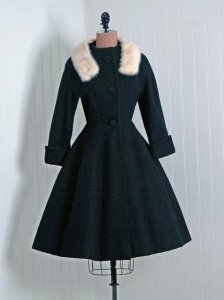 I am torn because I would never buy a new fur jacket, but vintage fur seems like it could be ok due to the fact there wasn’t such knowledge about the way animals were raised and killed back then. 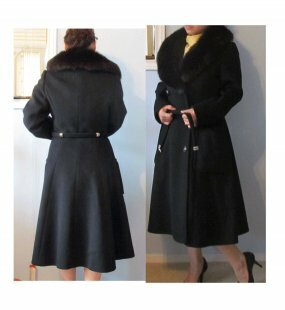 On the other hand, I don’t necessarily want to promote fur as fashion. So I thought I would ask you, my dear readers, what you thought. I know it is a hot topic, so if you don’t feel comfortable discussing it, then feel free to comment anonymously.